Anyone can create a guide to something. 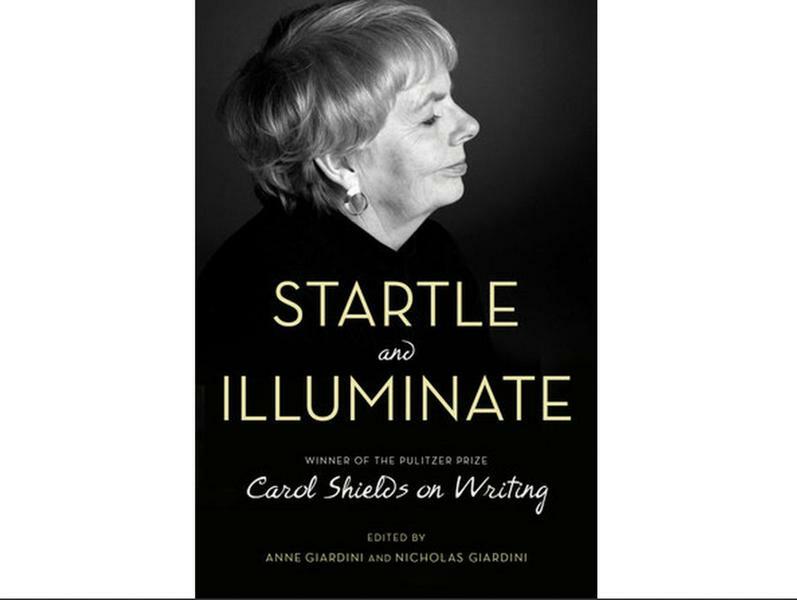 A parent can guide a child through life, a person with sight can guide a person of blindness across the street, but what Carol Shields has done with her strongly opinionated Startle and Illuminate is something more than just create a guide for aspiring authors; she has created a guide to our senses. The American-born Canadian author died in 2003, but left behind a substantial legacy. This book not only adds to that legacy but also strengthens it greatly. It seems to me that this work is an outright summary of whatever message Shields had hoped to convey in all of her previous works, and by George (whoever that may be), she has done it well. She has shown us that ‘to write is also to read,’ but infinitely more importantly, to do both is to experience. In books such as the Pulitzer-Prize winning The Stone Diaries, her unique style and voice shone through, despite the heavy content, but the reader was never made aware of it: such was the subtlety and power of her writing prowess. That same prowess is replicated in the style in which Startle and Illuminate is written, but only this time, her messages are not implied. On the contrary, they are vibrantly and anecdotally accentuated. Her idea of avoiding clichés of all kinds (from story to structure), which happens to be the central thesis of her book, is one that is presented beautifully. However, while the style is undeniably unique, the same cannot be said for the content itself, which features conventional themes and ideas that most people are all too familiar with. But do not be fooled. That is not a weakness because come on, after a while, don’t most things that are repeated (which were fresh at first), become clichéd and outdated? Yes. And even then, Shields manages to take cliché subject matter and twist it, presenting it in a way that is both riveting to read and thrilling to absorb. And so, it is her witty and humorous style, use of easy to understand diction and subtle anecdotal approaches to advice that make this book a stellar guide not to authors solely, but to people and their senses. In no other place is this idea better exemplified than in the title of her very first chapter: “writers are readers first.” It is an important line, perhaps the most important one in the whole book, and not just because it serves as the thesis of her work, but because there is a very apparent message here: anyone can be a writer, if you are willing to put in the work. That’s not to say that anyone will be the next Shakespeare. Oh no, what she means to say is that perseverance and diligence are synonymous with success, and that the same variables are directly proportional to the magnitude of that success – the smarter and harder you work, the better you will write. This may seem conventional, but don’t forget that this was only a small example taken from a plethora of good ideas that are present in this book and that it is always easier said than done. Look beyond the conventionality of the content and into the depths of Shields’ voice and you will find enlightenment: that’s all I have to say. It is a work of brilliance and a reward for your senses, most importantly – your sense of creativity.